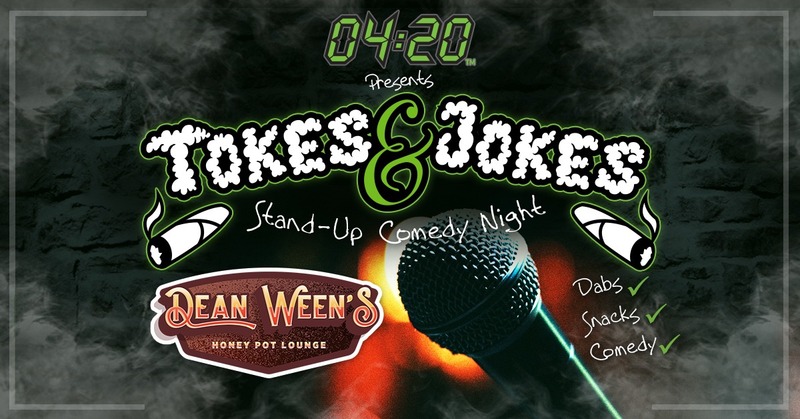 RSVP For Our Event - 0420 Inc.
0420Inc presents – Tokes & Jokes: A HIGH-larious Stand-Up Comedy Night. Come join us for a night of Denver’s top local stoner comedy acts, dab samplings, infused snacks and more. A first of many casual consumption comedy nights! Ticket includes entry covers: comedy show and free dabs / edibles sampling. This is a 21+ ticket required consumption event. * This is a private, invite-only event. ALL guests must be pre-registered with their LEGAL first and last name. NO substitutions, last minute additions or walk ups. Admittance will not be allowed for any persons non-compliant of the above requirements.